The Create a New Application screen and the Applications Settings specification are both similar. 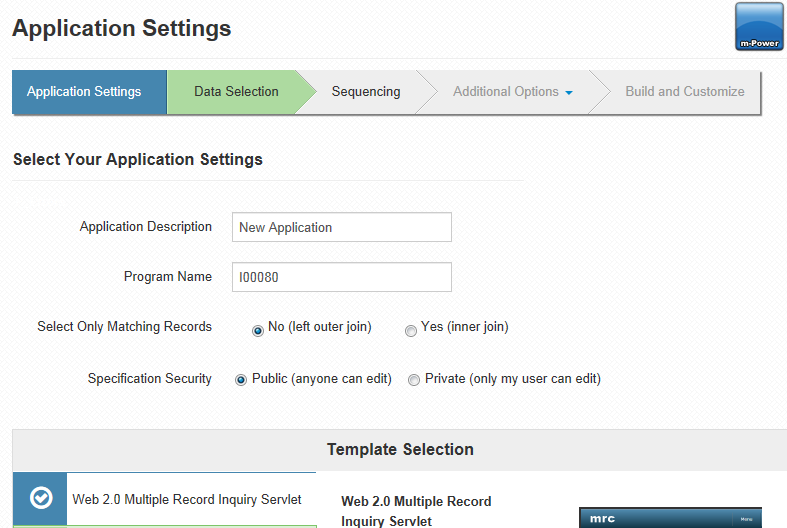 When first creating your application you will be brought to the Create a New Application Screen. Should you wish to make a change to anything initially specified, you cannot return to that screen. Instead, you can use the Application Settings specification to make any of those changes. The Application Number is automatically generated for you, and auto populates in increments of 10. If desired, you can change this number as long as no two applications of the same type have the same application number. The Application Description will be seen by both you and your end user. You will see it as your application's title within the m-Power interface, while your end user will see it at runtime as the title to the application. 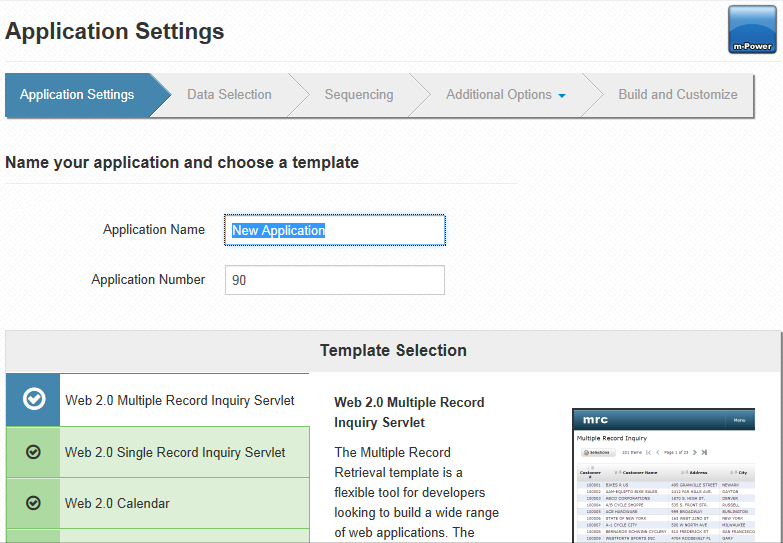 The Template Selection option controls the look and functionality of your application. Each template has different requirements and offers different features. For more information on selecting a template, click here. 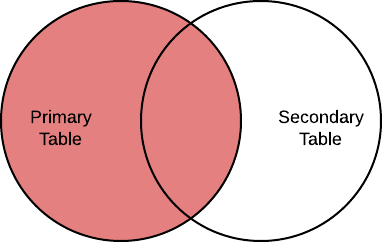 Use the Select Only Matching Records feature to choose either a SQL left or inner join, with the default being a left join. 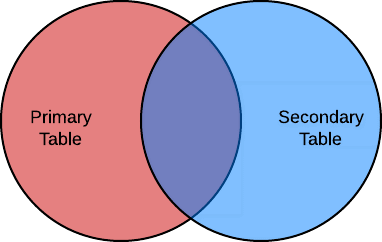 The left join will select all records from the primary table and all matching records from secondary tables, whereas the right join will select records from the primary table and secondary tables only where matching records exist. The Specification Security option determines who can modify the application. If it is set to private, then only you can modify the application. However, any end user will still be able to run the application. The Compile Options allows you to choose either an Advanced Search Row or an Advanced Search Dialog. The Advanced Search Row appears as search boxes in the table header, whereas the Advanced Search Dialog appears as a button which, when pressed, displays a popup window with search boxes.